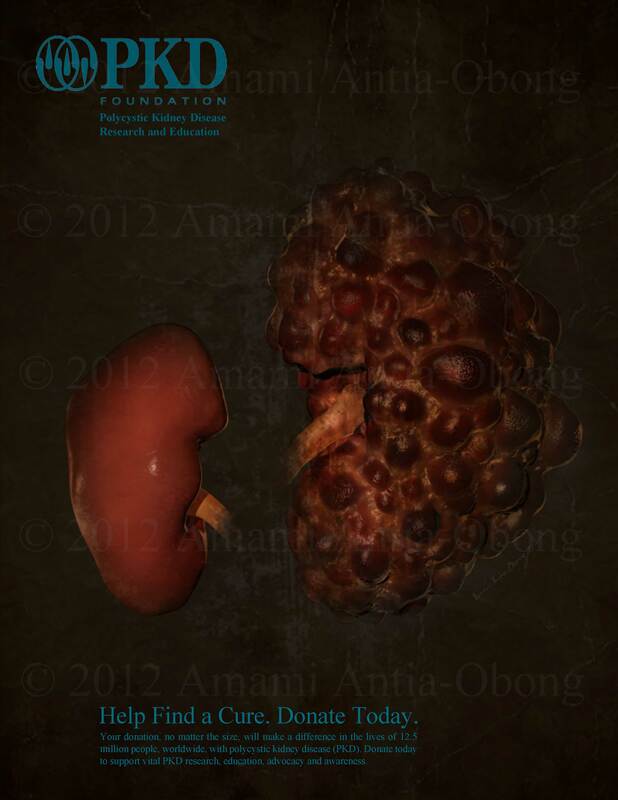 I have finally completed my polycystic kidney project for my advanced imaging techniques class. 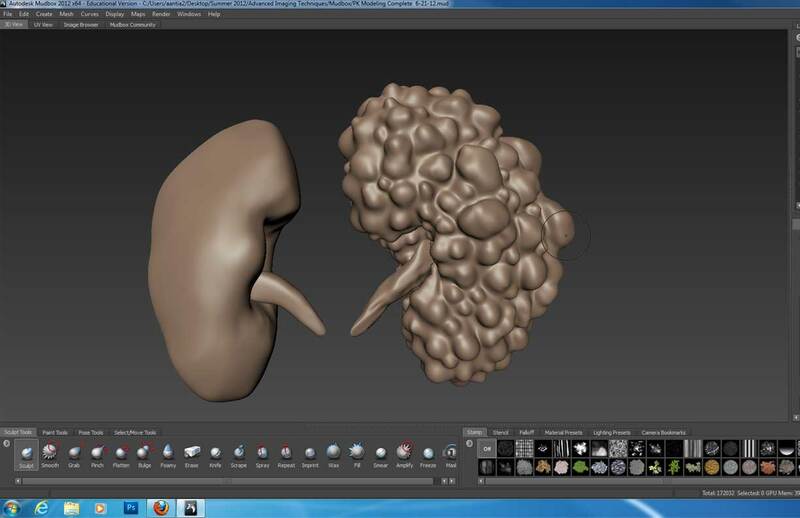 Once I completed my polycystic kidney in Mudbox I exported my model into 3ds Max. In 3ds Max one of the goals was to try as best as possible to make our models look the same as they did in Mudbox. The other goal was to render our scene in layers so that we could reconstruct it in Photoshop, and make it look the same. Within photoshop I was able to exaggerate, tone down or create any effects I chose. So below is the final version of my project in the form of a poster. Well my summer semester has started off with a bang. 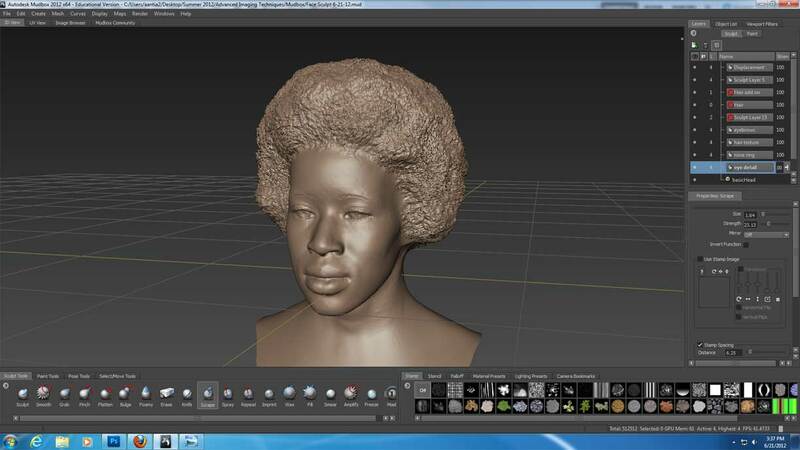 In this advanced imaging techniques class that I am taking we will be learning how to use Mudbox. 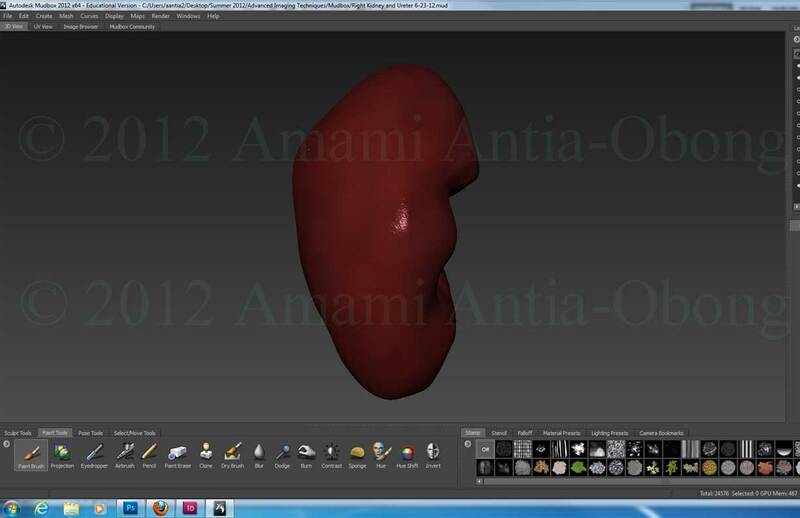 Our first assignment is to create a polycystic kidney and contrast it with a normal kidney in any layout that we desire. 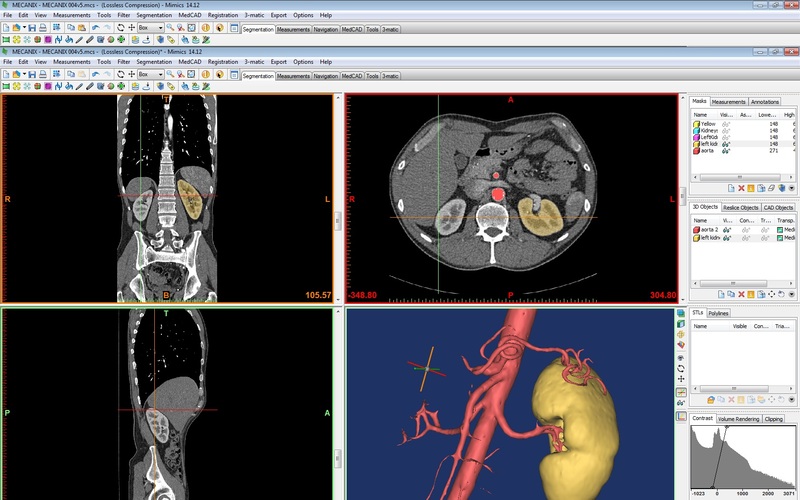 To begin we were given DICOM data of an actual person that we brought into Mimics to extract a normal kidney and ureter. 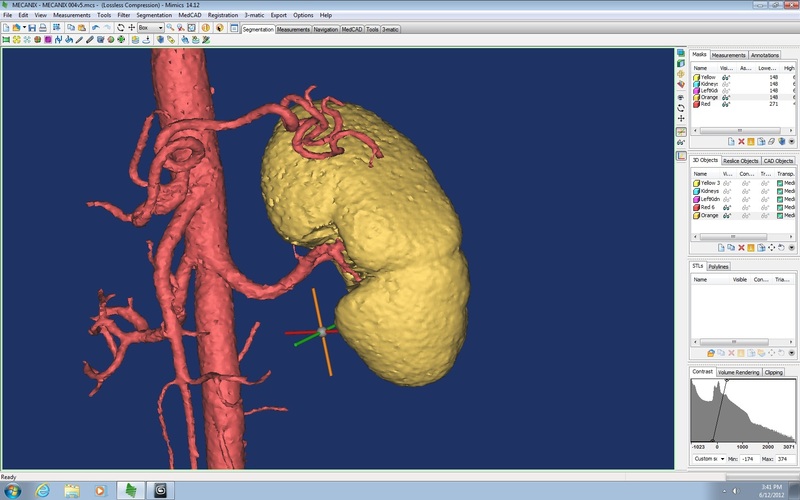 Below is the beginning process of how I extracted the kidney and the ureter from the DICOM data. 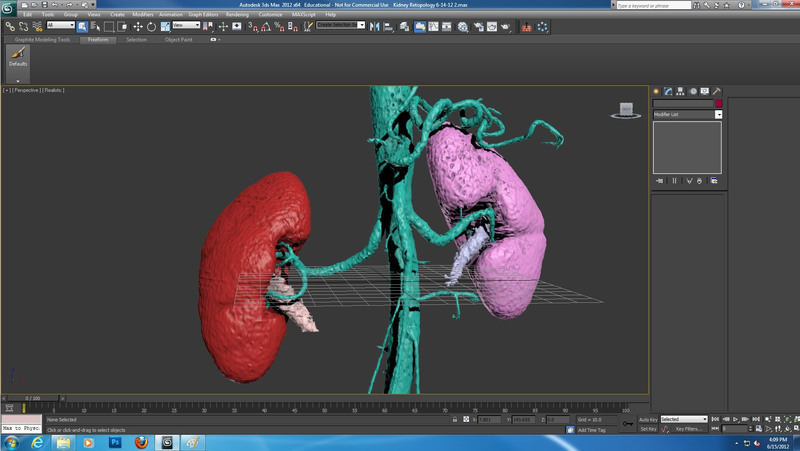 From there I brought my kidney’s and ureter’s into 3ds Max. 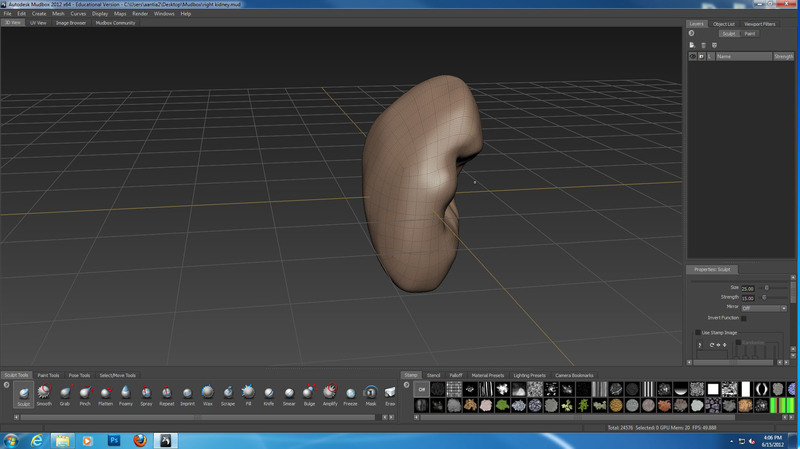 The goal now was to retopologize and UV Map the kidney’s and ureter’s. We were given the option to do this in 3ds Max or within Mudbox. I decided to begin in 3ds Max and see if I remembered how to do everything that I learned from last semester. 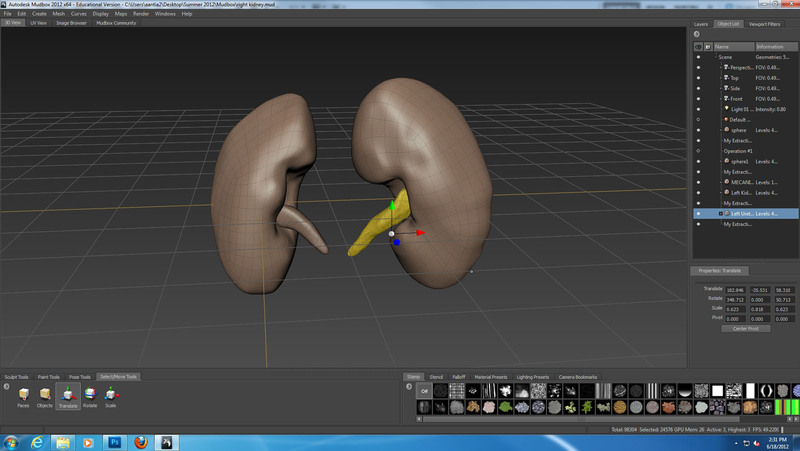 Below is the extracted data that I imported into 3ds Max and my retopology and uv mapping of the right kidney. 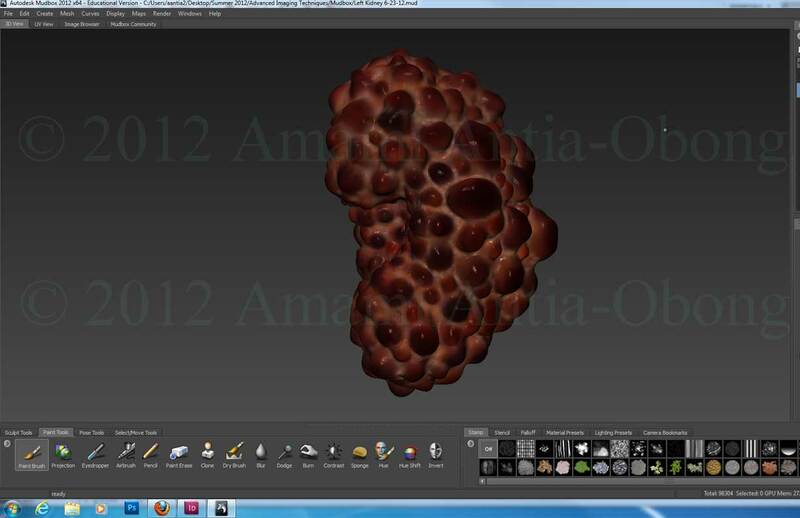 Even though I like doing this process within 3ds Max I wanted to try using Mudbox. 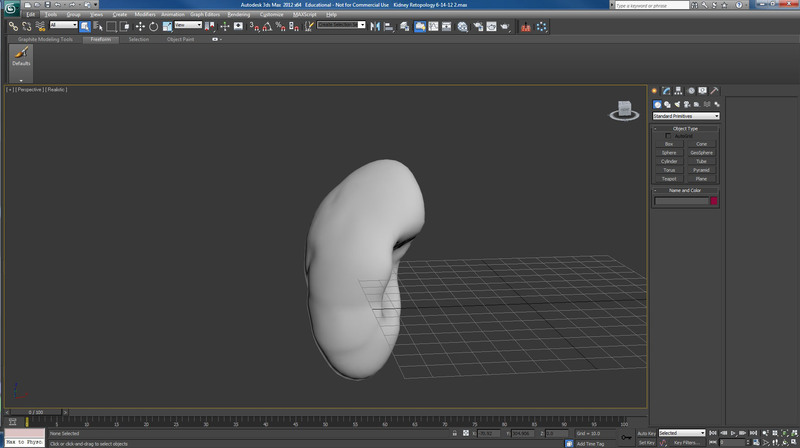 Firstly, to bring what I extracted from Mimics into Mudbix I first had to import my kidney’s and ureter’s into 3ds Max and then export them as a file recognizable by Mudbox. I found that I liked using Mudbox for the retopolpgy and uv mapping just as much as I liked doing it within 3ds Max. The best part being that within Mudbox the uv mapping is done for you. Below are my completed kidney’s and ureter’s. On Tuesday we will be learning more about sculpting and will be beginning the process of turning a normal kidney into a polycystic kidney. I’m really excited for that.